The sand comes in 5 separate bags, so you can unpack as many of them as you wish. Can stick to hands over time, though you may solve this issue by adding a few drops of water. With this 11-lb Waba Fun kit, you can bring the beach into your house. The set includes a bucket and an inflatable sandbox that is big enough for fun kids' games. If you play with the sand for too long, it might become a bit crumbly. This set is perfect for building sand pyramids and castles. Give freedom to the creativity of your young architect. Plastic molds have a special coating which prevents sticking of sand. The molds that come in the package are rather small. 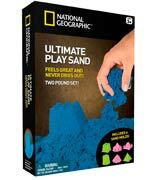 The sand from National Geographic is great for developing motor skills of your child! 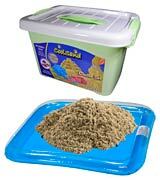 The molds have small handles that make it even easier for your kids to build shapes with sand. The actual color is a little bit different from the one presented in the picture. It's a unique and interactive kit that will get your kid familiar with the aquatic world. 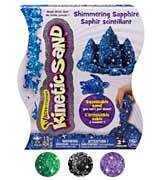 This shimmering sand is available in 4 different colors to choose from. Some sparkles might get on your hands. This sand is so colorful and bright! The entire family will have fun playing with it. It's quite a usual thing to build sand castles with your kid whenever you are on the beach, yeah? But what about creating sand sculpts in the comfort of your own home? 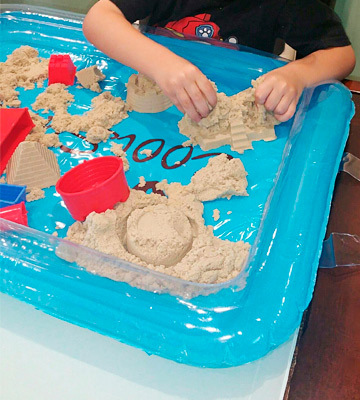 With 11 pounds of the Waba Fun Sand, the possibilities are endless! 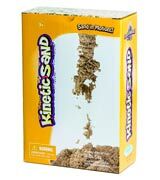 It consists of quartz sand and has a natural consistency, so your kid won't even notice the difference. All the sand grains stick to each other pretty well, thus, the sand isn't messy. Moreover, it's not oily and leaves no stains on furniture, clothes or floor. Due to non-fluid materials used for its production, there is no chance for bacteria to start growing. So unlike the natural sand, it's completely safe to use. However, mind that the manufacturer recommends buying it for 3+ children, as younger toddlers might try to taste the sand. Overall, it's a great set to bring the beach right to your home! Stretch the sand, watch it flow through your fingers, and create everything that comes to your mind! 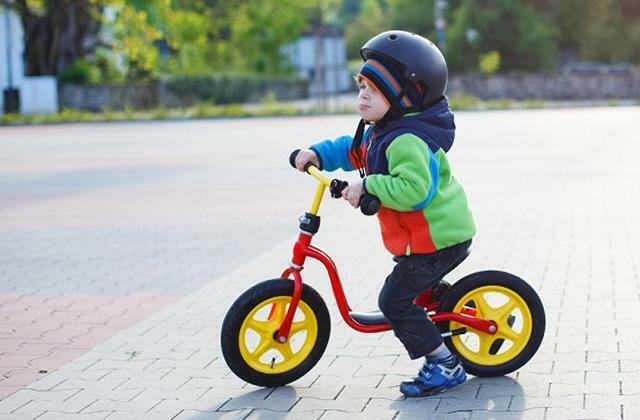 Is your child interested in cars? If yes, you should consider buying a ride-on car. The best part is that the set also includes an inflatable sandbox. At 24" x 18" x 2.5", it's pretty roomy and comfortable to play in. Plus, it won't let your kids create mess all around. When they finish, all you have to do is release the air and pack it inside a plastic bucket (included in a set). Speaking of the bucket, we would like to point out that it has a convenient handle for transportation. To make sure you won't lose anything, the bucket lid can be snugly closed. The sand doesn't dry out nor leaves any greasy stains on skin, furniture or clothes. All the ingredients are eco-friendly. Another great toy that can boost your child's imagination is a wooden train set. With it, your little explorers will be able to build their own railroad and then run trains. Take Sand Play to a Whole New Level! National Geographic is widely known for publishing their own magazine with scientific articles on geography, nature, science, and history. However, not everyone knows that they also create toys that can help their young readers develop certain skills. This product is one of them! The sand is available in three bright colors to choose from. Also, you can select 2-, 6-, or 12-pound packages. 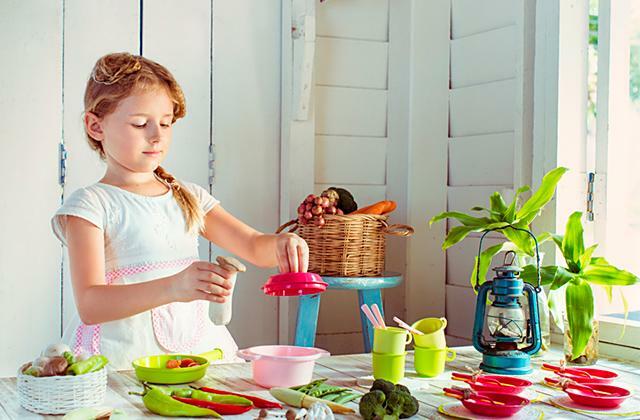 All the ingredients used are for its production are not toxic, so nothing will harm your child's health. The sand doesn't stain hands, clothes, and other surfaces. The set also contains a tray for sand storage, as well as 6 exciting molds for your child to create various sculpts. 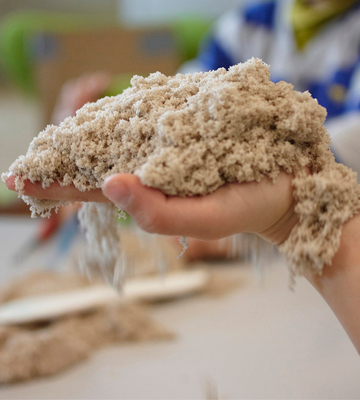 The sand is elastic, meaning your children can easily build anything they can imagine. As it doesn't dry out, it has an unlimited lifetime. The only thing you should keep in mind is that it's for 3+ kids only. 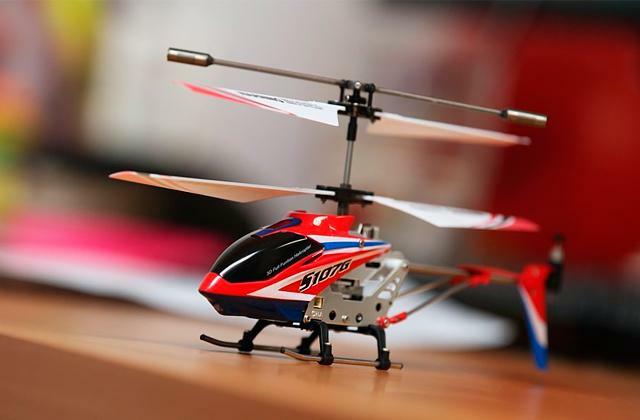 Make your child's dream come true and buy a brand new RC Helicopter. 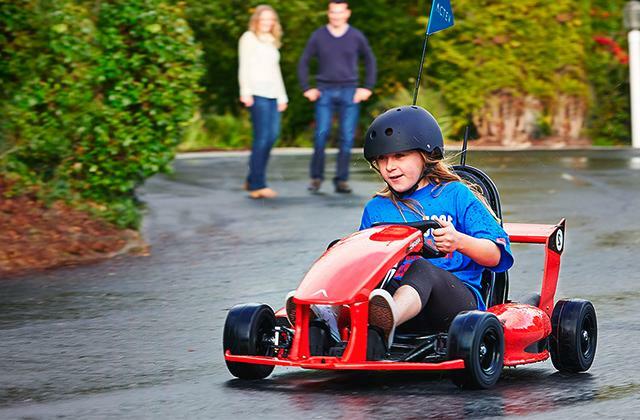 It will bring fun and enjoyment to your entire family! 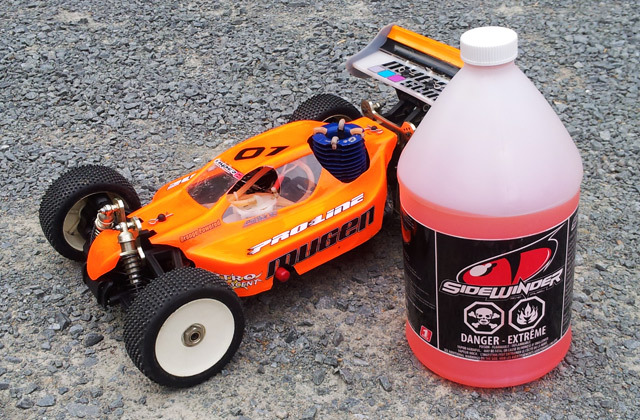 This kit will definitely become a huge hit in your home! Your child will be able to explore the sea world and get acquainted with its inhabitants, as the set includes seahorse, fish and turtle molds. 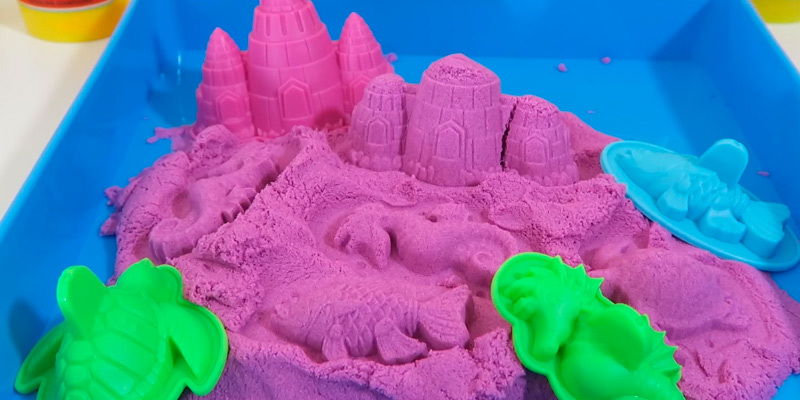 The kit also includes one more special mold that will give your child a chance to build an underwater sandcastle. 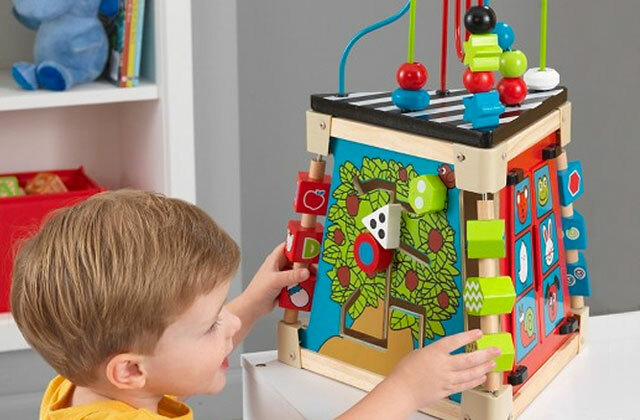 All molds are made of multicolor plastic to help your little explorer learn colors. 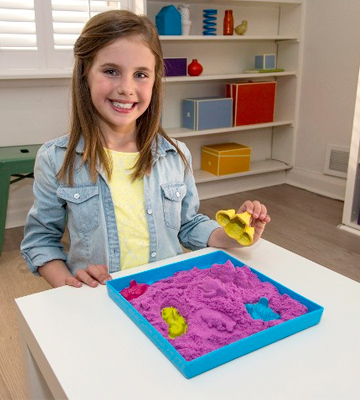 The set contains 1 pound of purple sand, and that's why all sculptures will look as bright as your kid's smile. As a bonus, the package includes a plastic sandbox tray that has a sea pattern to complement the sea theme. 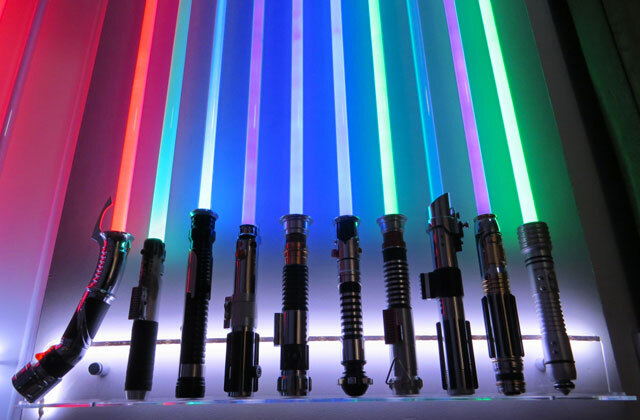 The whole set is really safe as it's made of non-toxic materials only. As colorful as it is, the sand doesn't leave any stains or dye marks on skin or furniture. If you want your child to give you a helping hand, you should definitely get a toy vacuum. 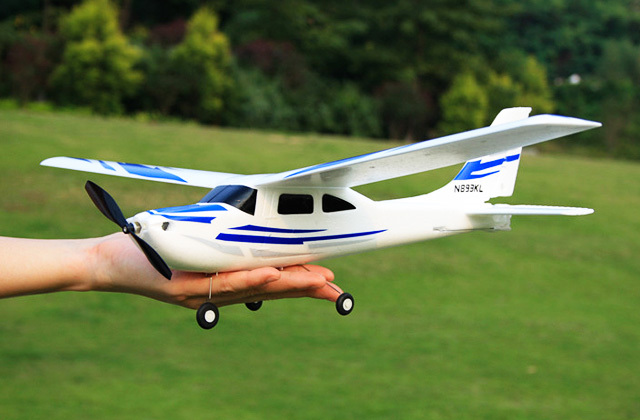 It is small, light, and fun! This fantastic set won't leave you indifferent! Its bright shimmering blue sapphire color will surely attract your attention. Furthermore, the manufacturer also offers the sand in other magnificent colors such as Emerald Green, Purple Amethyst, and Black Onyx. Therefore, you can get different sets to create your own palette. The package does not contain any trays, buckets or molds, however, you can safely use the sand on any tabletop, as it does not leave dye marks. All its ingredients are completely safe for kids' sensitive skin, so you can stay calm watching your children building sand castles. Although the sand does not leave any stains, the sparkles might sometimes get on your hands. Worry not about that! They can be easily washed off with hot water. 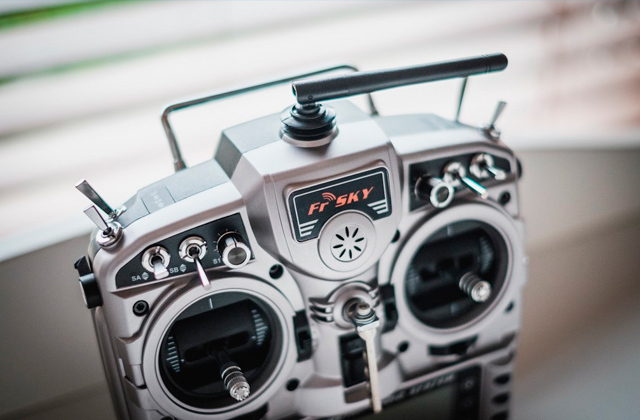 Buy this product for your little ones to build anything they imagine, and who knows, maybe sooner or later you won't be able to resist the temptation to join your kids. If your children like music, the best way to develop their talents is to get a kids piano. Playing with sand is a fun and creative activity that develops kids' imagination, motor skills and also soothes their minds. 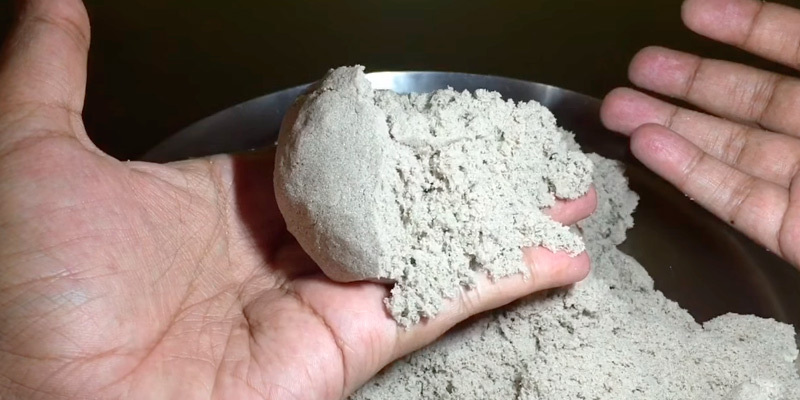 However, playing with natural sand is not only a bit messy activity but also a dangerous one, as the sand is plenty of dirt, germs, and bacteria that can cause allergy. 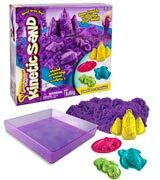 That's why the kinetic sand was created. This substance consists of 98% eco-friendly quartz sand and 2% polymers. Unlike the natural sand, the kinetic one is easy to shape, it never dries out, and it does not leave any stains on clothes or furniture. 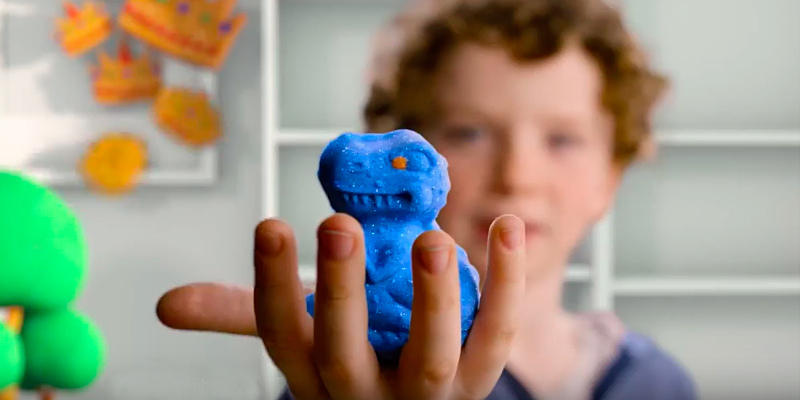 You can safely give it to your child and watch what your young sculptor creates. 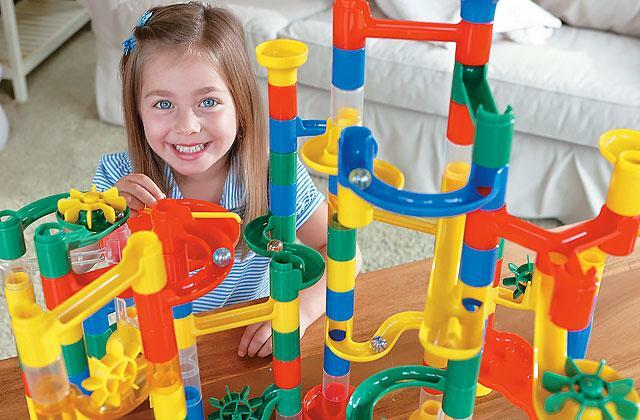 We would also recommend taking a look at marble runs which can develop your kid's logic. 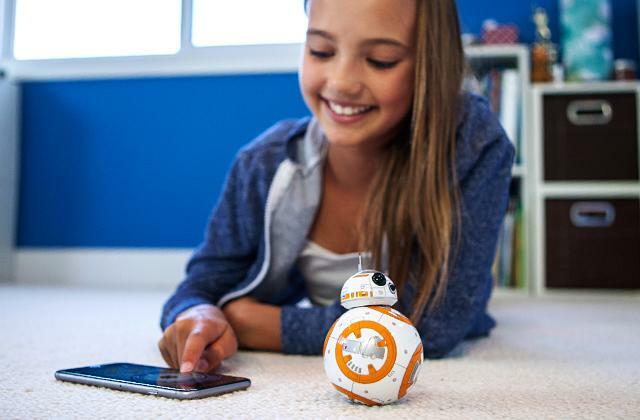 And a toy robot will teach your little wonder different life skills. 1. 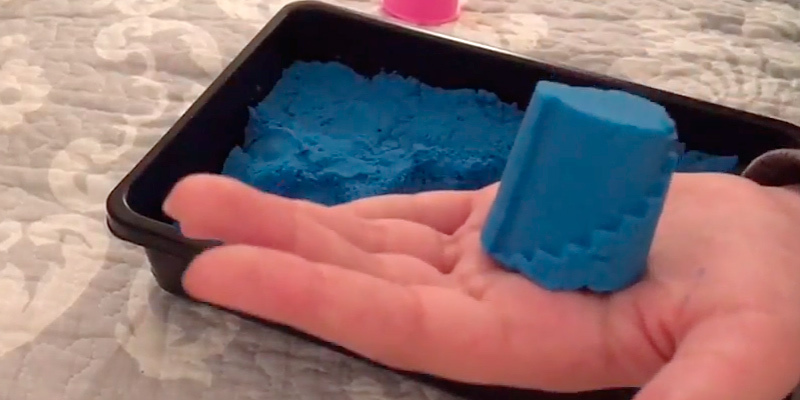 Michelle Maffei Cool Sensory Activities With Kinetic Sand, SheKnows. July 13, 2014. 2. 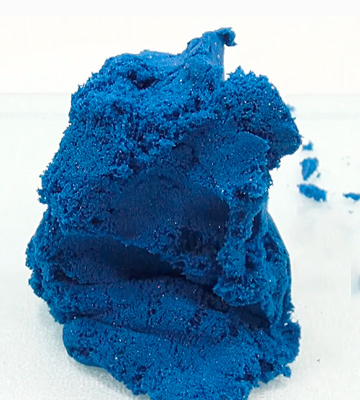 Kinetic Sand, Wikipedia. May 3, 2017. 3. 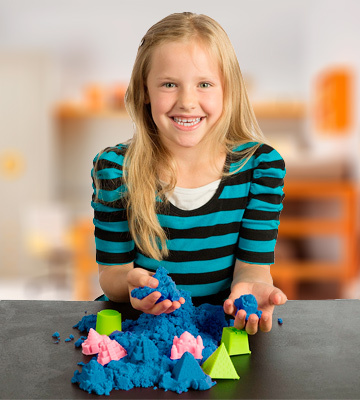 Jodi Durr 12 Kinetic Sand Play Ideas, Kids Activities Blog. September 24, 2015. 4. 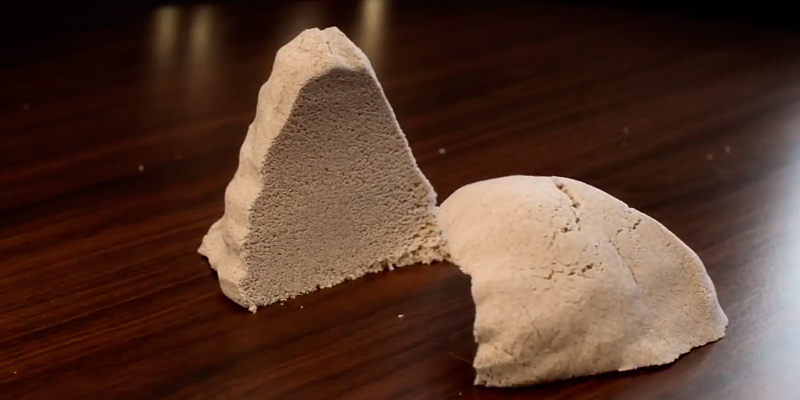 Angela Thayer Fun Ways to Play with Kinetic Sand, Teaching Mama.